50 boys meet 50 girls. 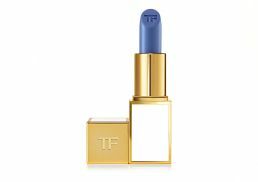 TOM FORD BEAUTY presents BOYS & GIRLS, a wardrobe of 100 clutchsized lip colours with names inspired by the individuals in Tom Ford’s life. 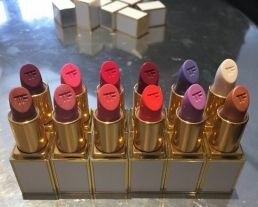 In a twist on the original Lips & Boys collection, Tom Ford reintroduces 50 Boys—and for the first time unveils the Girls—50 sensuous lipsticks named after women. The full lineup ranges in texture from cream, matte, and metallic to sheer and ultra rich finishes, and can be layered or worn alone to suit every personality and every mood. Rare and exotic ingredients including soja seed extract, Brazilian murumuru butter, and chamomilla flower oil help create an ultra creamy texture with an incredibly smooth application. Specially treated pigments are blended to deliver pure color with just the right balance of opacity and luminosity. Presented in a clutch sized version of the original lip color case, the Boys remain in the iconic mahogany, while the Girls show their lighter side in ivory. True to the Tom Ford philosophy, each transforming lip shade amplifies individuality, while creating an insatiable desire to try more than one. The TOM FORD BOYS AND GIRLS COLLECTION will be available at selected David Jones, MYER, Harrolds Luxury Department stores and www.davidjones.com.au from September 15, 2017.